Description: Organize all your music media with 19 different fields. Simple interface makes it easy to browse, sort, and print out all kinds of information on each album. Other features include custom reports, labels, searching, custom fields, file export/import, a Notes section, a Songs section, a graphic field, and more. Description: Organize all your books with 19 different fields. Simple interface makes it easy to browse, sort, and print out all kinds of information on each book. Other features include custom reports, labels, searching, librarian fields, custom fields, file export/import, a Notes section, a graphic field, and more. 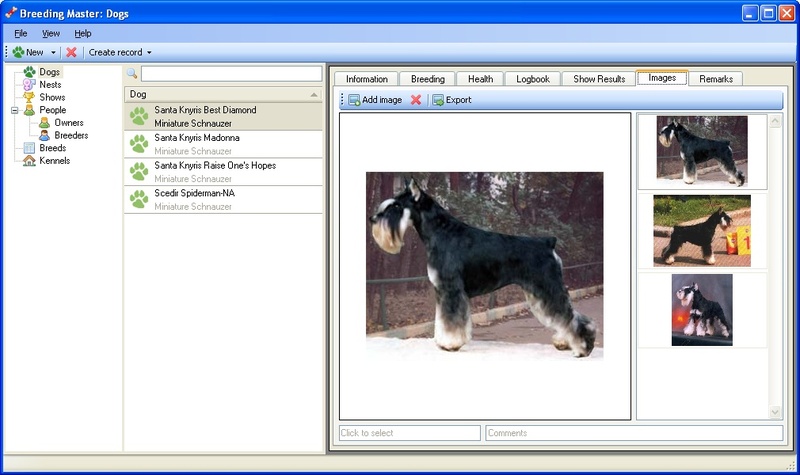 Description: Breeding Master is a simple, cute and powerful breeding software. Allows to keep dogs, people, kennels, awards and much more. Description: With Bucharchiv you can manage your personal library and eBooks (PDF-files) comfortable on your computer. Select the book from online-databases by searching for title, author, EAN etc. inclusive high quality cover pictures. Full text search, grouping view, filter, categories, print, export, online-reviews, quotations, lend and borrow, book- and archive-number, synchronize database with multiple computer, free updates within main release. Description: Coin Collector is an organizer for your Coin collection. Coin Collector provides several fields for information about each coin entry. All of these coin fields can be labeled differently if you so desire using the Custom Fields feature. Coin Collector also provides a section for entering a detailed description of each Coin and a section for listing the history or other important notes. Other features include reports, custom fields, and more. Description: Disclib is a CD collection organizer program. It may be used as a catalogue of CDs. 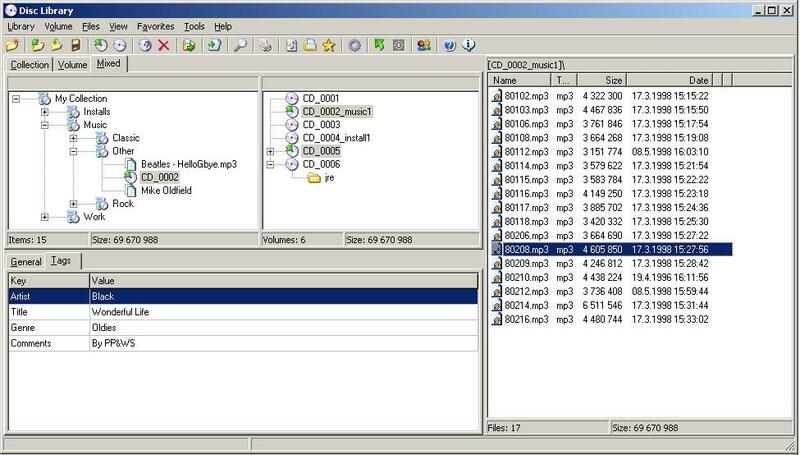 After creating the catalogue, disclib stores file and folder names and tree, allows user to categorize folders and files, and allows searching all the files from the collection CDs without need to place them in CD reader. Disclib may place in the catalogue any windows folder not only folders on CDs. Disclib has a customizable Multilanguage functionality. Description: EuroSinging is a database program dedicated to Eurovision Song Contest. It contains all participations (from 1956 until 2004 in main program, you can download additional years), all countries, songs' info, lyrics and more. The main package of the program doesn't contain multimedia files but you can find many multimedia packages by searching over the internet. Description: Digital document management of the future. PDFs, pictures or e-mails - you can now conveniently archive everything you need. Simply print the desired document and it will automatically be filed in the background without additional work.Quick access - any time. Quick and easy access to your documents via full text search and different sort methods (name, date, keyword).Try it now!